Elecosoft > News > Sustainable company of the year! Sustainable company of the year! En glad Andreas Forsfjäll, Elecosoft, tar emot priset på Alvargalan. 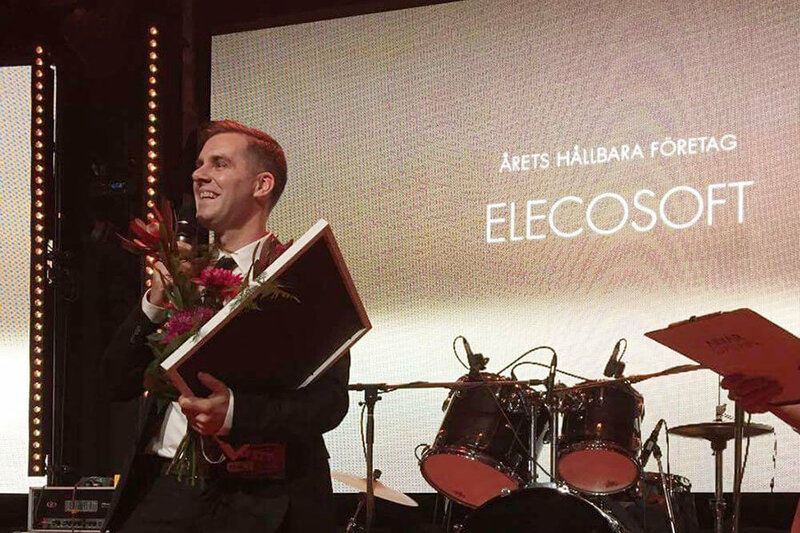 Last friday at Alvargala in Skellefteå we recieved the award for “Sustainable Company of the year”. The jury’s comments: Elecosoft puts Skellefteå in the light by enabling long-term good environmental choices in the construction process. The company has intensified its efforts to develop a powerful tool for calculations of the buildings carbon footprint and this makes the world a little better!